Windhoek — Free Trade Agreements (FTAs) won’t hold favourable implications for Namibia’s weaner industry and the opportune thing for local producers along with government, is to get together and have a round table discussion to come up with plans on how to convert potential challenges into opportunities. Meatco’s Chief Executive Officer (CEO), Vekuii Rukoro , says regarding South Africa’s negotiations with Brazil to sign FTAs to allow the import of cheap meat into South Africa. Rukoro says reacting to questions raised by the Osire/Waterberg Farmers Association and producers who wanted to know how this will impact meat prices in Namibia. If South Africa’s negotiations with Brazil concludes successfully, it will have implications for the Namibian beef industry. 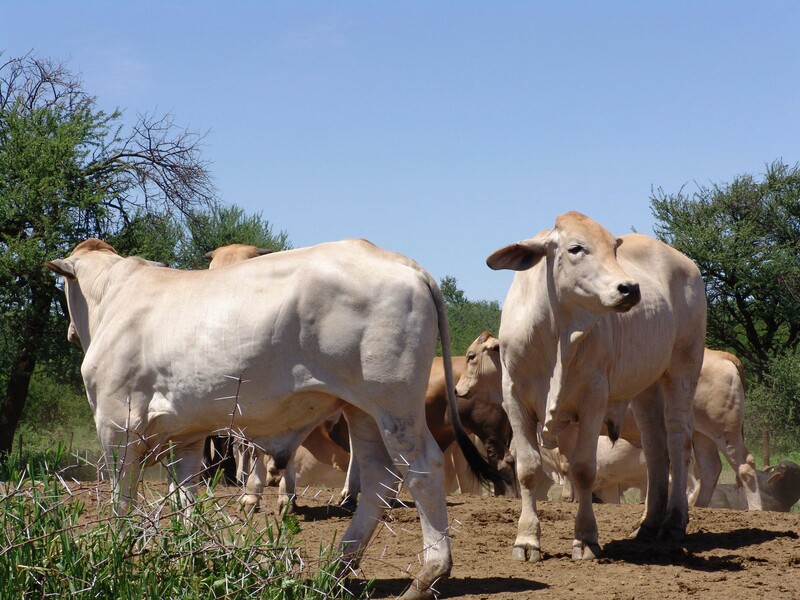 South Africa is one of Namibia’s most important markets, especially for weaners which she export to South African feedlots. Rukoro says one thing Namibia can do is to try and keep more of her weaners inside the country, raising them locally and adding value to them instead of doing what she is doing at the moment, which is exporting them to South Africa on-the-hoof. "This will mean we’ll have to talk about how to produce our own feed locally on a large scale because without that, it is not going to go easy. That’s where we need the government’s help - to start implementing the Green Scheme, which she is currently busy with. At the moment the Green Scheme is based on food security for people, but we would like to convince government that food for cattle is just as important," he notes. Rukoro says Namibia by producing her own feed on a large scale and by putting up feedlots at strategic places - she can afford to reduce the number of weaners that would normally have gone to South Africa. South Africa is traditionally one of Meatco’s important markets, but what has been happening over the past couple of years is that Meatco has been diversifying its export markets so that it is no longer dependent on one market. "Currently South Africa does not take more than 30% of our beef exports. We also sell to the local market and export to Europe, Norway, Italy and the UK. We’ve also recently opened markets to Greece, Germany and Russia. We can actually get a better price from countries like Russia for beef we traditionally put in the South African market. This is a strategy to position ourselves so that if the South African market is no longer profitable, we have alternatives. We are also hard at work addressing the possibility of entering markets in the East such as China and Hong Kong." He says Meatco fought very hard to have the Norway quota split more equitably as the "previous 50/50 split between us and Witvlei Meat was not fair. Meatco slaughters more than 100 000 cattle per year while Witvlei only slaughters 8000 which is just enough for the Norway market. The government then heard and accepted our arguments and made the allocation. This year we got 75% of the quota". Norway is the most lucrative market in the world and what Meatco gets out of there in terms of profit is also strengthened by the exchange rate which is positive at the moment. This means Meatco has been able to adjust prices drastically. Regarding producer prices, Rukoro states that Meatco does not change its policy from year to the next regarding price. "It depends solely on environmental and market factors. If the price in South Africa begins to fall, then there is no reason for us to use the South African price as a basis. Then we only use what we get out of the market, and for every dollar we get, we look at how much is needed for our operational costs, and pay the rest to the producer, since we don’t have shareholders and we also don’t pay specific dividends to any party. If it goes well with producers, then it will go well with Meatco," he says. "We need to be a successful, profitable business in the interests of our producers, because the more successful and profitable we are, the more profit we will be able to put back in the pocket of the producer. Of all the profit we make, we don’t even keep one percent for the organisation. We feel that after we have deducted our business costs, we should give all of it back to the producer." "To show that we really performed well, we are going to give producers back pay. I don’t know how much, but it will be done within the next two months," he concludes.